Pianist Jocelyn Lai, began her music studies at the age of four, and has since then competed with distinction, most recently winning the CIM concerto competition, placing first in the Professionals Category of the American Protégé International Piano Competition, and second in the Knigge National Piano Competition. She has performed in prestigious venues such as the Weill Recital Hall at Carnegie, Chan Centre for the Performing Arts at UBC, and Paul Hall at the Juilliard School. 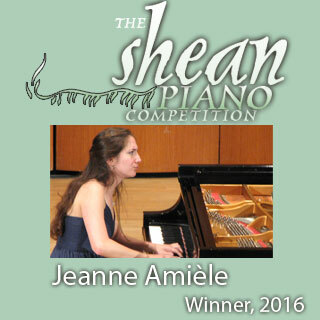 Upon graduating with a Bachelor of Music in piano performance from the UBC School of Music where she studied with pianist Jane Coop, she was the recipient of the Director's award for being the top graduate from the piano faculty. She is grateful to the Leon and Thea Koerner Foundation, Hnatyshyn Foundation of Canada, and BC Arts Council for their financial support in her career so far. Ms. Lai has spent her past six summers working with distinguished pedagogues including Anton Kuerti, Robert McDonald, and Robert Levin, to name a few, as a festival participant across Spain, Canada, and the United States. Aside from solo performance and collaboration in chamber music, Ms. Lai has explored teaching through her former positions as a Teaching Fellow in the Secondary Piano and Theory departments at the Juilliard School, and currently as an apprentice for CIM’s Distance Learning department. For many years, Ms. Lai has been giving concerts in local community centers and hospitals in Vancouver, New York, and Cleveland. Recently awarded a Master of Music Degree in Piano from the Juilliard School, under the tutelage of Julian Martin, Ms. Lai is now pursuing an Artist Diploma at the Cleveland Institute of Music with pianist HaeSun Paik.